Themba Gamedze is a Fellow of the Actuarial Society of South Africa. He was also the founding President of ASABA which was established with the express aim of increasing the number of black qualified actuaries. His financial services career commenced almost 30 years ago when he began his actuarial training in the UK. 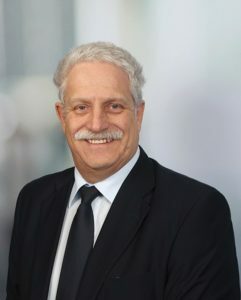 He returned to South Africa in 1995 to manage the actuarial division at the Munich Reinsurance Company of Africa before his appointment into a number of executive roles within the life assurance sector, including running the Employee Benefits Division of the Sanlam Group until its repositioning within the Investment Cluster in 2006. Themba also worked at HSBC South Africa as a sell-side investment analyst and as a derivative structured products executive. He has served as President of the Actuarial Society of South Africa and Chairman of the South African Insurance Association. He still serves as a non-executive director on the board of Santam and as a specialist trustee of the Government Employees Pension Fund, having taken early retirement from his executive role as Chief Executive: Strategic Projects for the Sanlam Group at the end of 2015. Themba has published two books of a planned series of five on a chronological analysis of the Gospels and has developed a fascination with the development, modelling, and financing of renewable energy plants in the SADC region. Listen to the Audio Recording of the ASABA Actuaries in Dialogue session. 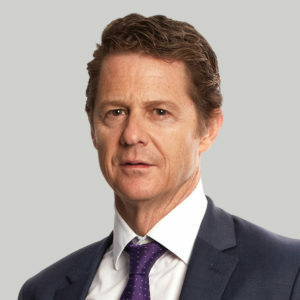 Jeremy Gardiner is a Director at Investec and has been with the firm for more than 25 years, during which time the business has grown from a small Cape Town asset management firm into a significant global business managing client assets in excess of R1.6 trillion. Jeremy also served on the board of Western Province/Stormers Rugby from 2003 to 2005, a period in which their performance was particularly poor! Although he studied accounting at the University of Cape Town and Economics at the University of the Witwatersrand, Jeremy is neither an accountant nor an economist, but uses these skills to demystify what the accountants and economists are saying. His presentation at the 2017 Convention was voted Best Presentation by users of the app and this year he will once again provide a general economic update. Jeremy is a regular voice in the media, at conferences, and to the investment-related world at large, responsible for commenting on current affairs, economics, and investment markets. Diego Iturralde is the Chief Director of Demography at Statistics South Africa. He is an efficient and goal-driven individual, willing to consult and hear everyone’s viewpoints, but is ultimately accountable for decisions taken. It is his intention to leave the world of demographic analysis in a better state than which he found it. Download the presentation and listen to the audio recording. 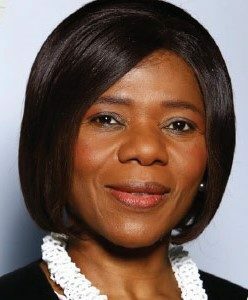 Professor Thuli Madonsela, the former Public Protector of South Africa, will give a keynote address on ethical leadership and while opinions may differ on her tenure as Public Protector, it is a certainty that every delegate attending the Convention will want to hear her speak. She is currently the social justice Chair in the Stellenbosch University Faculty of Law. She served for seven years as the Public Protector, fulfilling her mandate to support and strengthen South Africa’s constitutional democracy. Professor Madonsela is known for her iconic leadership and contribution to the country in challenging times. She has been recognized internationally for her transparency, influence, integrity and commitment to truth and justice by Transparency International, the Law Society of South Africa, Forbes Africa and Times Magazine. She is known and loved for her courage, a deep caring for people and her leadership in challenging times. Professor Madonsela has done much to promote equality and overcome discrimination. She inspires her audience to step up and be part of the solution. Watch the presentation or listen to the audio recording. Dr Zwelini Mkhize is the Minister of Co-operative Governance and Traditional Affairs. He is a medical doctor, former legislator, and politician, having graduated with an MBChB degree from UKZN in 1982. Dr Mkhize has played a pivotal role in the establishment of a democratic government in SA. In 1986 he went into exile, continuing medical practice in Swaziland and Zimbabwe. He returned to SA in 1991 to work at Themba Hospital in the Eastern Transvaal, then started his private practice in Pietermaritzburg. From 1991 to 1994 he was a member of the ANC’s National Health Secretariat, tasked with the responsibility of developing the country’s health policy. He was the provincial Chair of the ANC in KZN from 2008, re-elected in 2012, and is accredited with actively promoting peace and stability in KZN, working with His Excellency JG Zuma. He had a hand in the successful hosting of the 2010 World Cup as Chair of the 2010 World Cup Political Oversight Committee, 2006-2010. Dr Mkhize has been Chancellor of UKZN since 2009 and was the Treasurer General of the ANC, 2012-2017. Unfortunately Dr Mkhize was unable to attend, so Deputy Minister Andries Nel participated in the ASABA Actuaries in Dialogue session. Listen to the Audio Recording. Nene Molefi is the owner and Managing Director of Mandate Molefi Human Resource Consultants. She is an experienced consultant and facilitator with a track record that spans more than 18 years and her work involves facilitation and lead-facilitator in culture change transformation and leadership development interventions for large and medium-sized companies. Her experience includes conducting numerous ExCo visioning sessions, helping develop transformation strategies, working with private schools on unconscious bias and diversity and inclusion strategies, and conducting dialogue sessions on social context and social cohesion for all nine of the High Courts and Constitutional Court Judges. She sits on the advisory structure of the Auditor General of South Africa and is a member of the Meals on Wheels board. Nene has been a member of the Diversity Collegium, a think tank of diversity experts from around the globe, and through the Collegium was a member of the expert panel that developed the Global Diversity and Inclusion Benchmark Tool. She is also a board member and secretary of the Center for Global Inclusion, an organisation founded in the USA with members from around the globe. Nene is also the author of A Journey of Diversity and Inclusion in South Africa: Guidelines for Leading Inclusively, published in 2017. Her reputation as a thought leader led to a speaking role at one of the largest international conferences on talent, the ATD International Conference and Exposition, in California in May 2018. and has been mentioned in the Global Talent Competitiveness Index 2018 report as an example of an international thought leader on diversity and inclusion. Karabo Morule is MD, Personal Finance at Old Mutual South Africa, having joined the company in 2010. Prior to this she held management positions within Old Mutual including General Manager: Corporate Customer Solutions, General Manager: Member Solutions, and Strategy and Marketing Executive in the Retail Afﬂuent segment, precursor to the Personal Finance and Old Mutual Wealth businesses. Prior to joining Old Mutual she worked at JP Morgan, in Johannesburg on the Equity Derivatives desk and in London in the Insurance Securitised Products space. Karabo is a qualiﬁed actuary who obtained her BBusSc (Actuarial Science) degree with ﬁrst-class honours. She also holds a Postgraduate Diploma in Actuarial Science from UCT. She is an ASSA Fellow and was recognised as one of the 200 Young South African Leaders who are shaping the country’s future (Mail & Guardian, 2014). Alain Peddle is a globally-experienced healthcare actuary who played a leading role in health and wellness product development, innovation, and strategy for the Discovery group before moving to China in October 2015 as part of the joint venture between Ping An and Discovery. He has more than 15 years’ leadership experience in rapidly-growing health insurance businesses including both Discovery and Ping An Health. His current focus areas include the introduction and application of advanced predictive analytic techniques in health insurance, and the development of innovative business practices to aid risk management, operations, and new business in China. He also serves on the board of the Vitality Group which provides incentivised wellness programs to more than 7 million clients across 14 countries in partnership with major international insurance clients. Alain’s education background includes the University of Cape Town, the Faculty of Actuaries in Edinburgh, the d:school at Stanford, and the Saïd Business School in Oxford. Download the presentation, watch it or listen to the audio recording. Shivani Ranchod is the co-founder and CEO of Percept: a multi-disciplinary consultancy driven by heart and curiosity. She is a healthcare actuary and a part-time academic at the University of Cape Town. She holds a number of governance positions including being a board member of the Council for Medical Schemes. She is also currently appointed as long-term advisor to the Government Technical Advisory Centre. The health system is the object of her intellectual affection, and she describes her work as bringing careful attention to bear on socially-meaningful problems. Outside of work you will find her hanging out with her son, meditating, reading or cooking. The audio recording of the Entrepreneurial Session can be heard here. Peter Withey is the President of the Actuarial Society of South Africa (ASSA) and represents ASSA on a number of International Actuarial Association (IAA) Committees, including Council, Professionalism, and Scientiﬁc, and is also a member of the IAA Nominations Committee. Peter qualiﬁed as an FIA and FASSA in 1989 and has experience in a wide variety of actuarial and non-actuarial roles. He is currently employed by KPMG in South Africa where he provides both consulting actuarial services and technical actuarial support to KPMG audits. Peter works primarily in the life insurance ﬁeld but has exposure in non-life insurance, pensions, and health actuarial matters as well. Peter is keen to see the profession develop beyond the traditional ﬁelds of insurance and pensions to expand the reach of the profession into areas where the actuarial skills of long-term and systemic thinking can play a role. Download the Presidential Address, watch it or listen to the audio recording.